Original unframed acrylic pour on stretched canvas finished with a satin varnish 5” X 7” / 12.5 cm X18cm x 15 mm deep and ready to hang. This painting is attuned to the Angel Zagzagel, Angel of Wisdom. 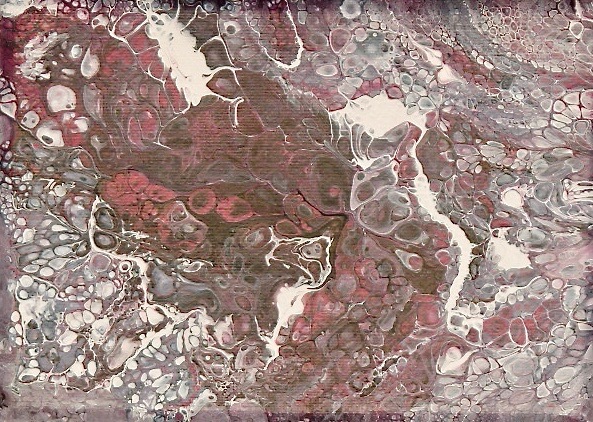 With its sharp intricate detail, this piece holds a fascinating underlying intensity which seems to be mitigated only by the varied and multiple cells and the warm pink undercurrent.